My last post was about artwork lighting, so I thought it would be perfect to show these photos of a Thomas Kinkade painting, before and after a lighting remodel project. Thomas Kinkade is known as the “Painter of Light,” so it’s only appropriate that his works of art are properly showcased with accent lighting. As you can see in the “Before” photo, the painting hangs over a brick mantel with no accent lighting of any kind. (The reflection on the lower part of the painting was caused by the camera flash). Recessed lighting fixtures with adjustable eyeball trims were installed in the ceiling to draw attention to the details in the painting. The downlights were adjusted so that the central beam of light created a 30-degree angle with the vertical beam of light. This prevented any indirect glare from being reflected off the painting. Notice also how the new recessed downlights accentuate the light coming from the house windows in the painting! 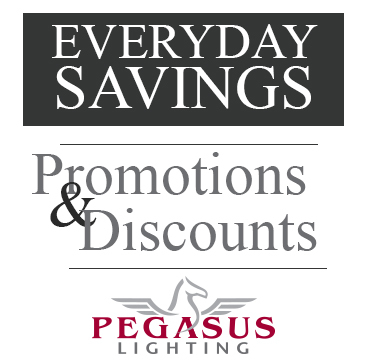 For more information on this project and the specific products used, go to our Lighting Projects from Pegasus Customers page. are catalogs available? I am interested in several different types of lighting. Unfortunately, we don’t have a catalog at this time. Please shop on our website – you should get a good idea of the different types of lighting available using our drop-down navigation menu. Let us know if you have any questions!